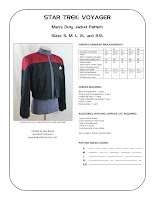 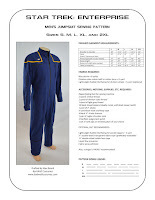 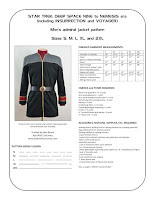 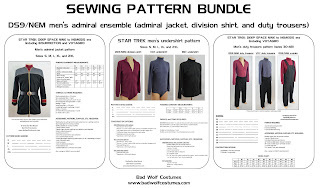 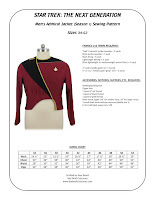 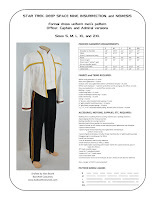 NOTE: More women's Star Trek sewing patterns are coming soon! 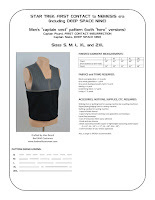 proportions, and hidden zipper closure. 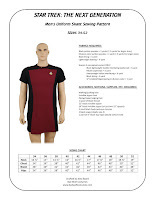 Nine to Nemesis era, in sizes small through 2XL. 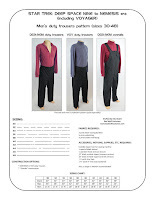 in sizes small through 2XL. 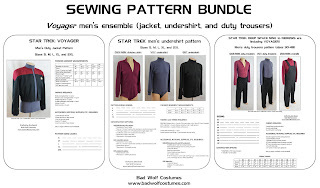 in Deep Space Nine, Voyager, and Insurrection. 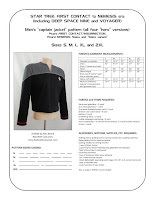 Includes sizes small through 2XL. 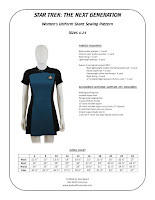 and Deep Space Nine, in sizes small through 2XL. 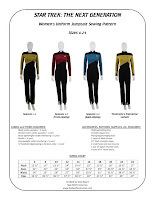 seasons of Voyager, in sizes small through 2XL. 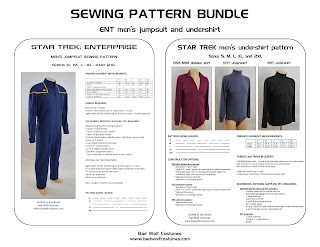 Enterprise, in sizes small through 2XL. 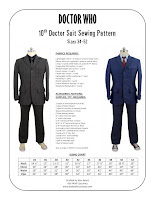 David Tennant in Doctor Who, in sizes 34-52. 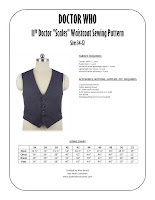 Matt Smith in Doctor Who, in sizes 34-52.
amongst others! 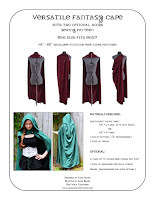 Includes sizes 30-48.
and Hooded Versatile Fantasy Cloak! 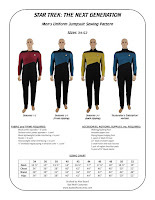 Save the world with your buddies in style! 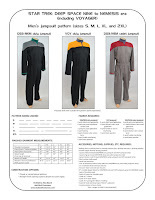 Amazing Wonder Brooms not included. 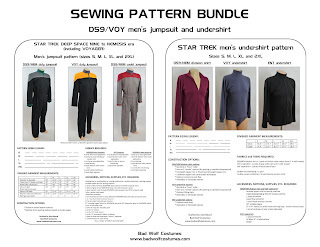 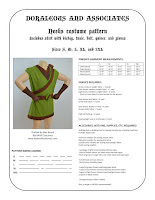 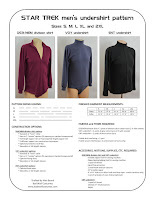 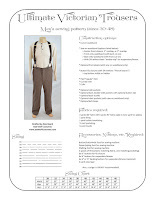 Sewing Pattern Bundles - save 10%!